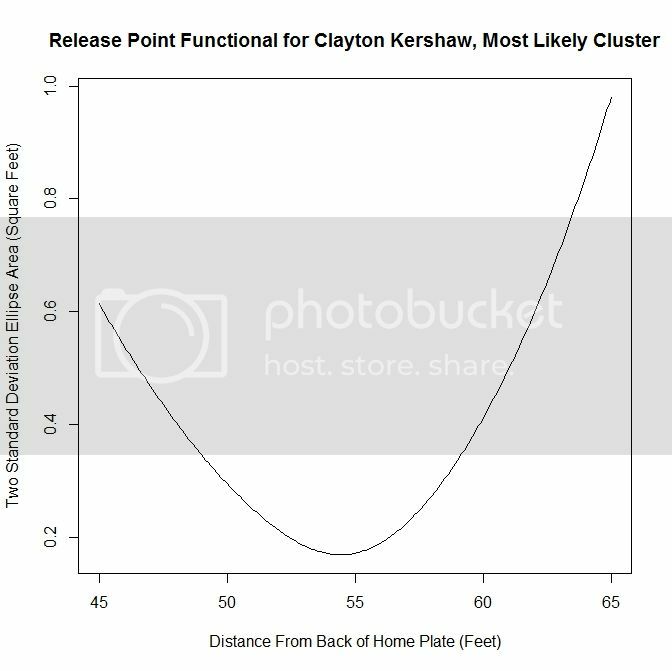 We hoped you liked reading Estimating Pitcher Release Point Distance from PITCHf/x Data by Matthew Mata! Really neat work! Enjoyable read! I liked your creative applications of signal processing. 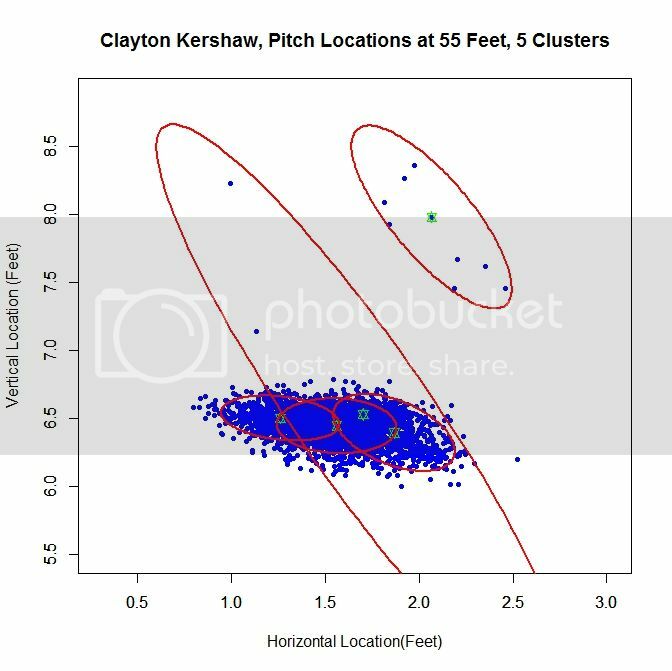 Would you comment on if the multiple clustering (Fig.1) that the algorithm was identifying were different pitch types? My apologies if you already cover this in the article…I couldn’t find it. Thanks. I’m glad you enjoyed it. 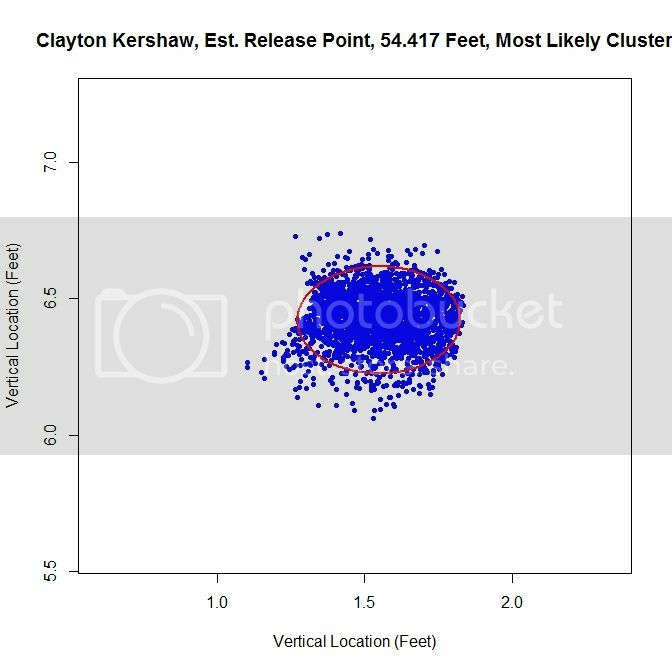 The multiple clusters are probably more a result of the data not being exactly bivariate normal and the way the clustering algorithm works rather than the pitch type. I haven’t looked into pitch type for this, mostly because this article was a little bit long to begin with (15 pages in Word). I’ll look into this tomorrow and let you know in the comments. If you have other questions about the clustering algorithm, I can recommend the paper I got it from. 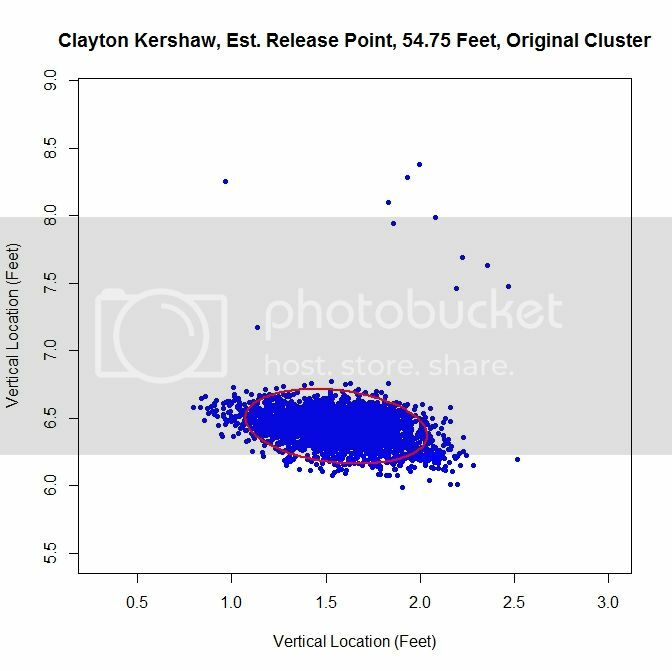 In response to the comment about pitch types and clusters for Kershaw, the only pitch that doesn’t overlap well with the large cluster at the bottom is the curve, which tends to appear more to the left side of the cluster. 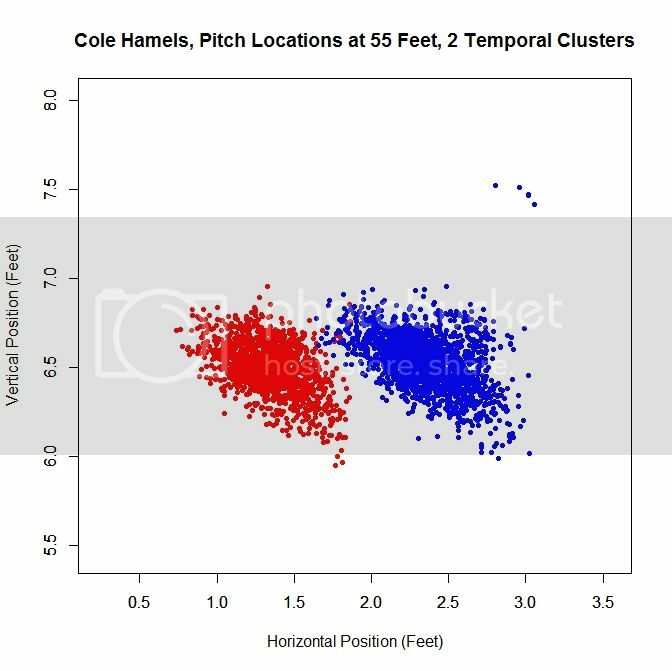 All of the other pitches roughly cover the same area. Also, the handful of pitches in the upper-right are intentional balls, so in that case that cluster does match a pitch type, and I’ll probably remove those in future iterations of the code. Excellent analysis and very well written article. Out of curiosity, what type of image processing do you do? Some of the concepts used in this analysis are very similar to what we use in neuroimaging, in particular processing diffusion tensor imaging scans. Anyways, it’s always fun to see my work life collide and interact with my baseball hobbies. Question: What was your algorithm for determining the number of components k? 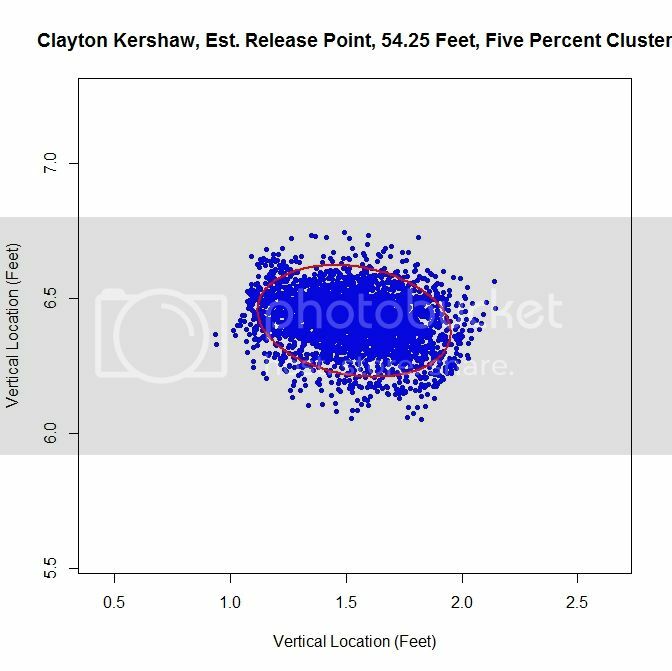 For example, how did your initial plot of Kershaw determine that there were 5 clusters? More specifically, how did your algorithm determine that the big blob is really 3 clusters (even though you eventually treated it as one larger cluster)? Thanks for the detailed reply. On another topic, I’d like to learn more about your CFD work. When you get a chance, please send me an e-mail. 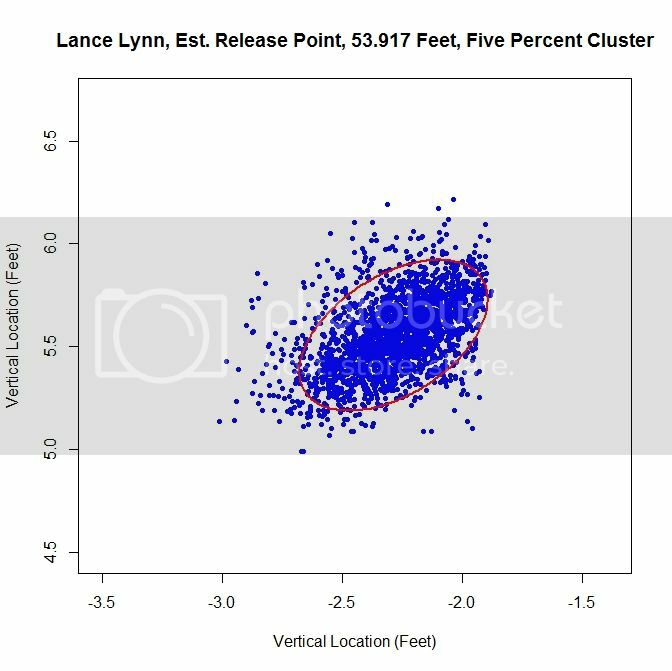 Another question: In the Lance Lynn analysis, you have three clusters, two of which are overlapping. What would you find if you analyzed the one that does not overlap the others? 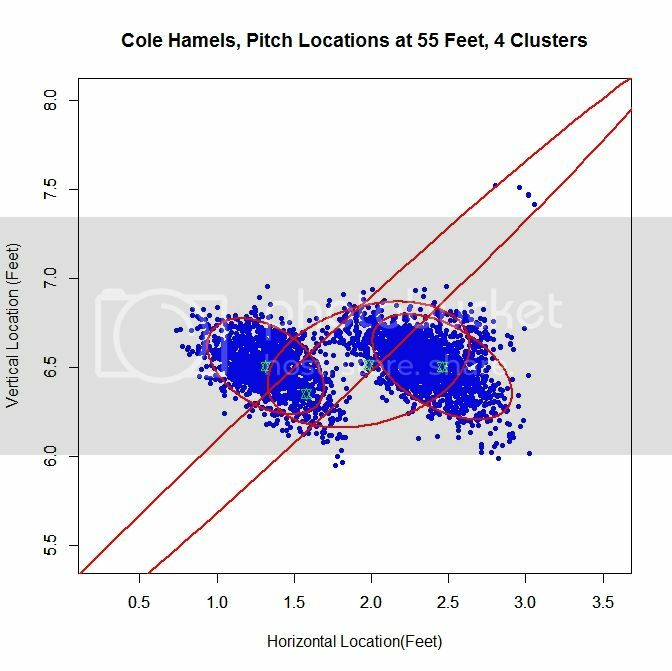 Similar question applies to the two dominant clusters from Hamels (the red and blue clusters, which look to the eye to be pretty similar in shape, only shifted). Sure. I’d be happy to talk to you. I’ve read most of your work and I really enjoy it. 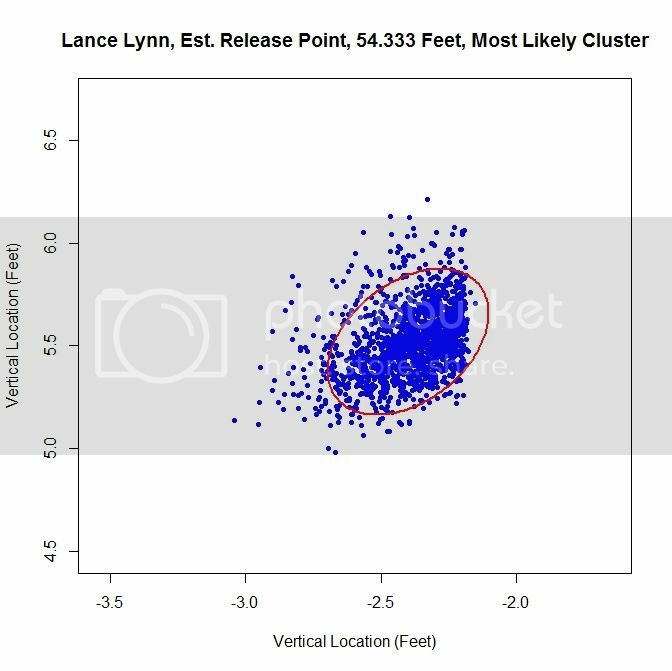 I’ve thought about analyzing multiple clusters as a way to check consistency for the estimates (do both clusters produce similar distances). 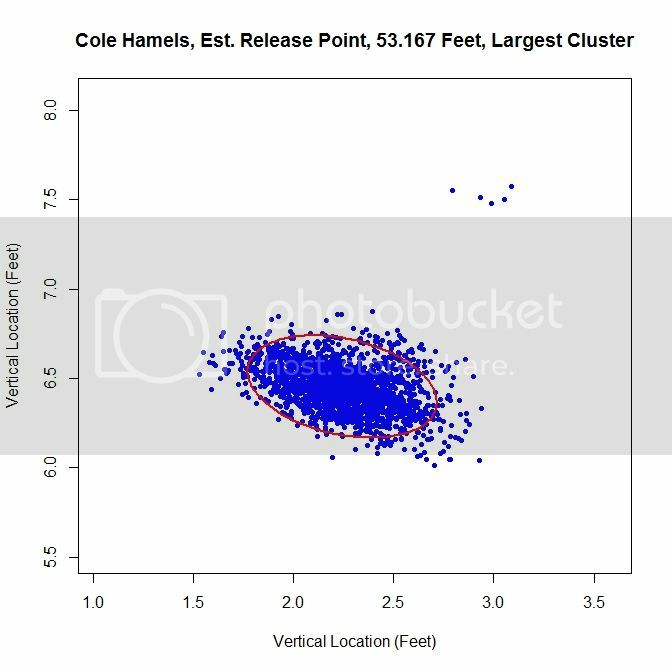 It’s not hard to do numerically, especially when you don’t have to use spatial clustering. I can probably look into this tonight and get back to you with some results. 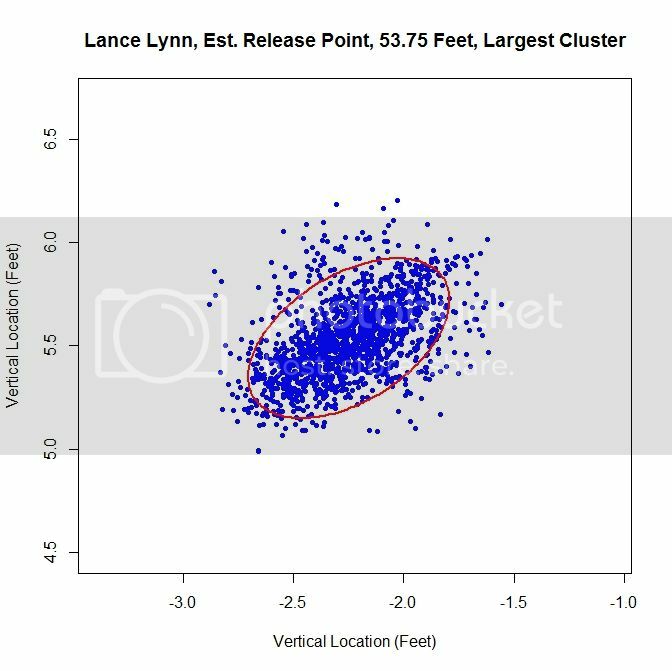 The results for the angle look very similar as do the distances, except maybe Lynn’s cluster #2. Thanks! At some point, I’m going to write a version 2.0 of this algorithm and I’ll make sure to check home vs away. It’s always good to get as much information as possible so I can do a better job in my calculations. 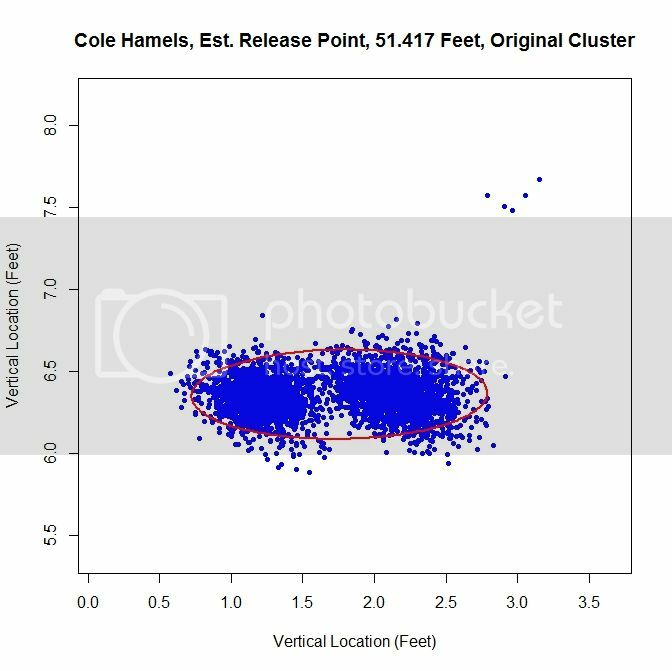 If the release point is approximately 55 feet, that means we’re dealing with 10 to 20 feet of extrapolation and in general polynomial extrapolation isn’t a great idea (especially for higher order but we might be okay at order 2). Thanks again and any other advice/suggestions are welcome. What a fascinating study. 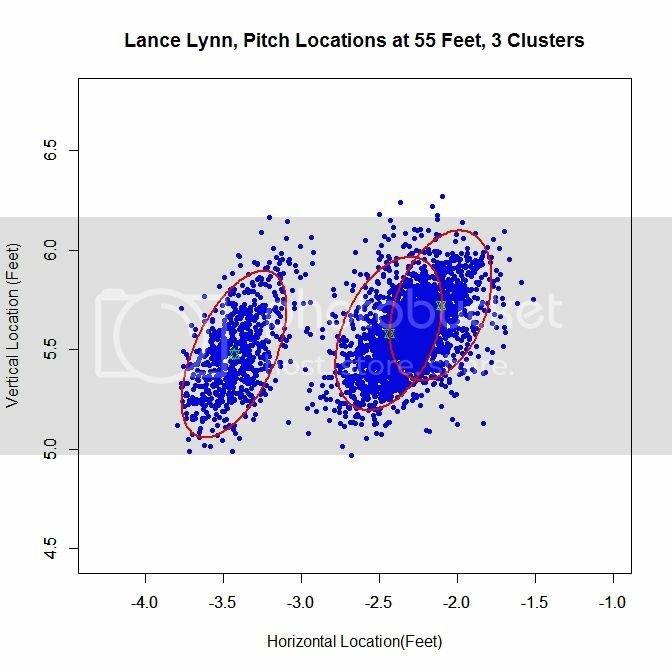 I wonder what Tim Lincecum would look like if similarly analyzed? I also really like At the Drive In and Baseball. This is really great work. The Community Researchers have really been killing it lately. Keep up the incredible work! Thanks for all of the supportive comments. I’m going to try to put together a new piece on this with all of the input I’ve received. 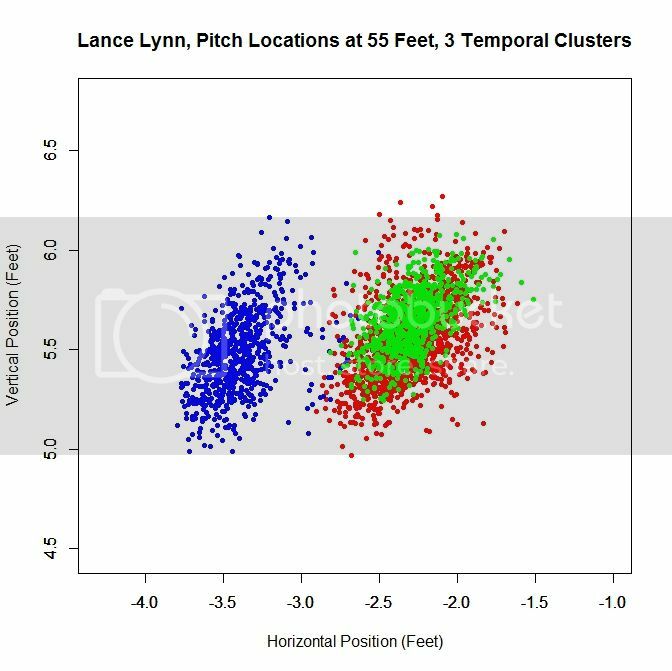 I don’t know exactly how it will be structured, but I’ll try to include a larger sample of pitchers, so if there are other suggestions, like Lincecum, please let me know. 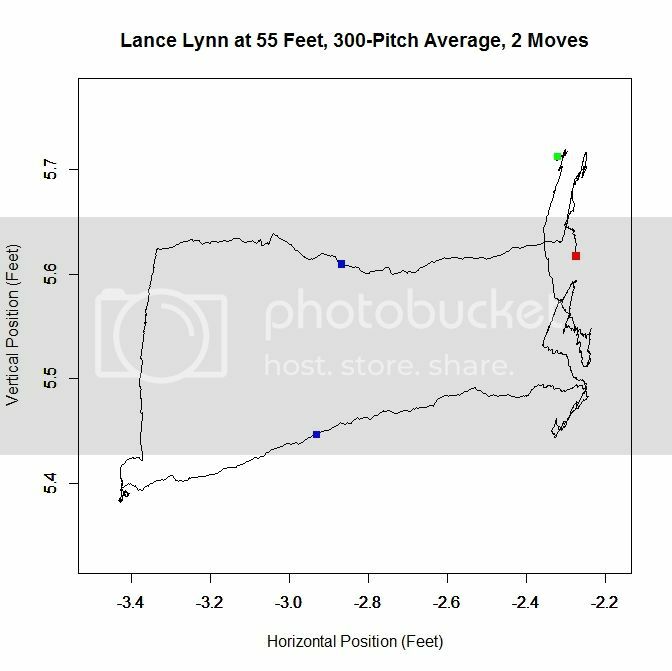 While I admit it’s probably impossible, I wonder if there is any way to filter out the amount of change in the “release point” this is measuring with where the pitcher positions on the rubber? 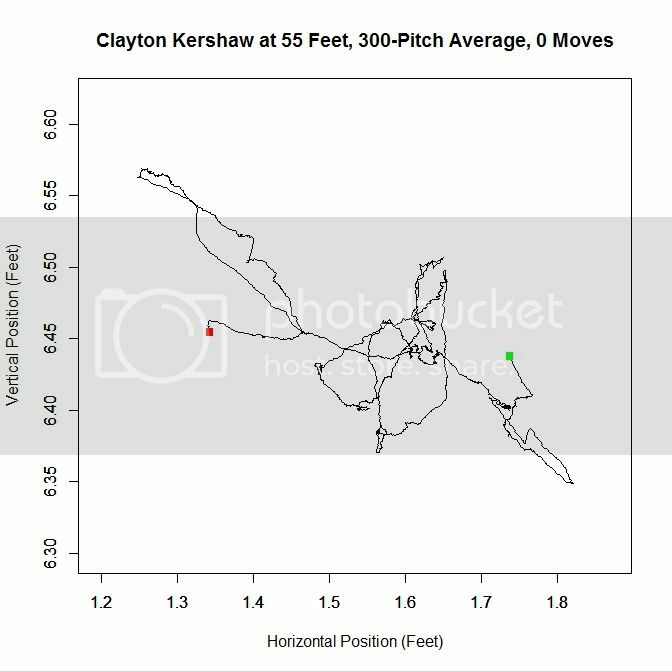 Some pitchers move from left to right on the rubber depending on the handedness of the opposing batter, others move a little based on count or pitch they are throwing. At lunch and just skimmed. Isn’t the exact release point in the PFX data itself? 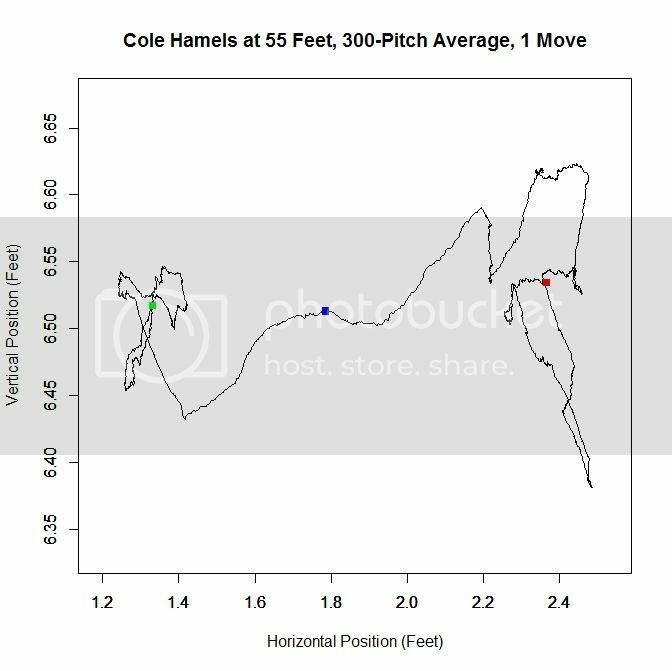 I’m not sure it displays anywhere but if you look at the raw data presented by MLB. COM, it’s in there. It has to be in order to calculate the BRK and PFX numbers. Again I only skimmed and need to read in detail to see what you’re getting after. Finally got there in the last paragraphs. Kind if an interesting exercise. 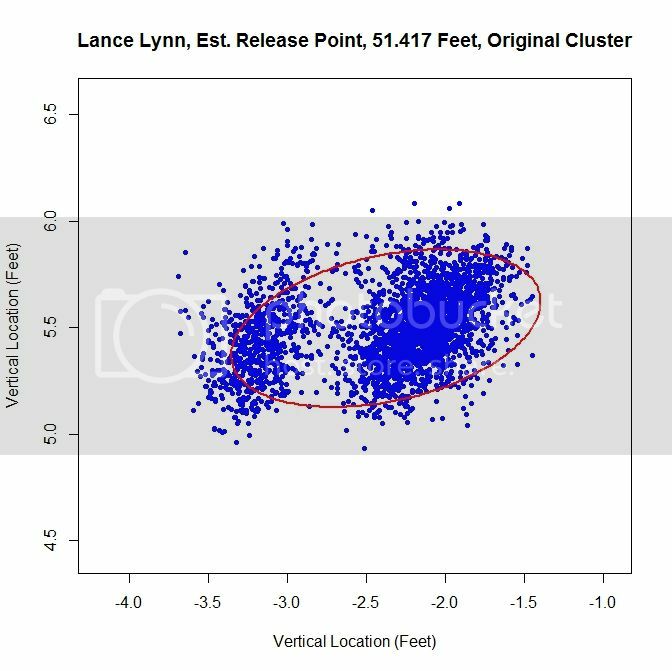 If I get this, PFX takes it back to 50 feet and you are trying to extend the arc back beyond and see where they mostly intersect and the actual physical release point is HERE (or so). 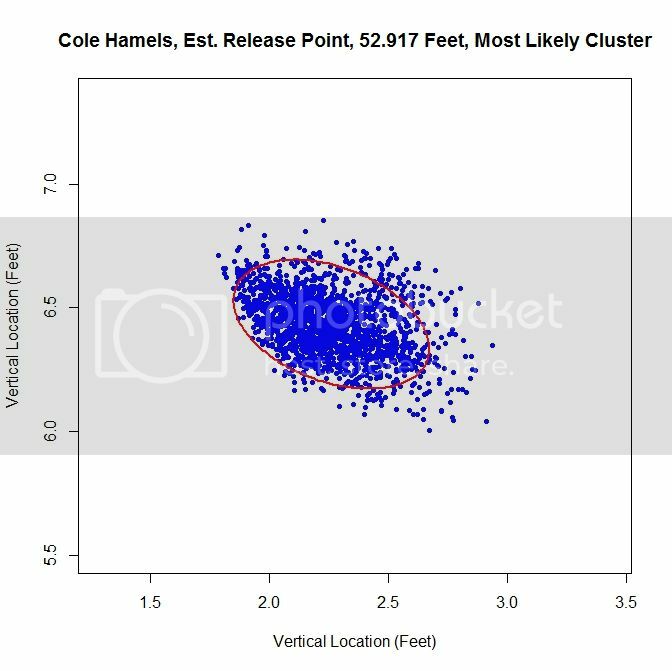 It might be fun to ultimately create some sort if release point consistency rating and see how well that correlates to things like walks and percent of pitches on the edges of the strike zone. Maybe it doesn’t matter but you don’t know unless you ask, right? My only concern would be the ROI thing. That’s a big extrapolation to a small point. Hopefully the noise doesn’t sink you. 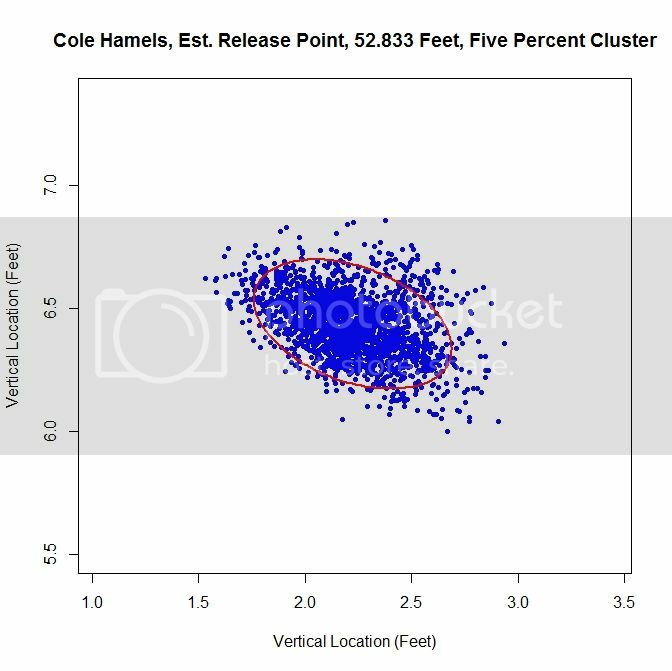 You can always run your results thru a smell test like running that Japanese pitcher with the freakishly consistent release point.